This past week, the Justice Department announced that HSBC Bank had agreed to forfeit $1.256 billion and “enter a deferred prosecution agreement” for engaging in money laundering that involved the financing of drug cartels and groups with ties to terrorism. The agreement indicated there would be no criminal prosecution. Not one bank executive or lower-level banker would be put on trial and possibly sentenced to jail for his or her role in allowing money to be transferred to drug cartels or terrorists. Meanwhile, that same day, Nima Ali Yusuf, 26, a Somali woman who fled war-torn Somalia when she was a child, was sentenced to eight years in prison for sending $1,450 to “members of a terrorist organization in her native country.” The scale of the crime committed by Yusuf, who pled guilty to charges just over a year ago in December 2011, is incredibly minor and insignificant when compared to the acts engaged in by bank executives at HSBC. 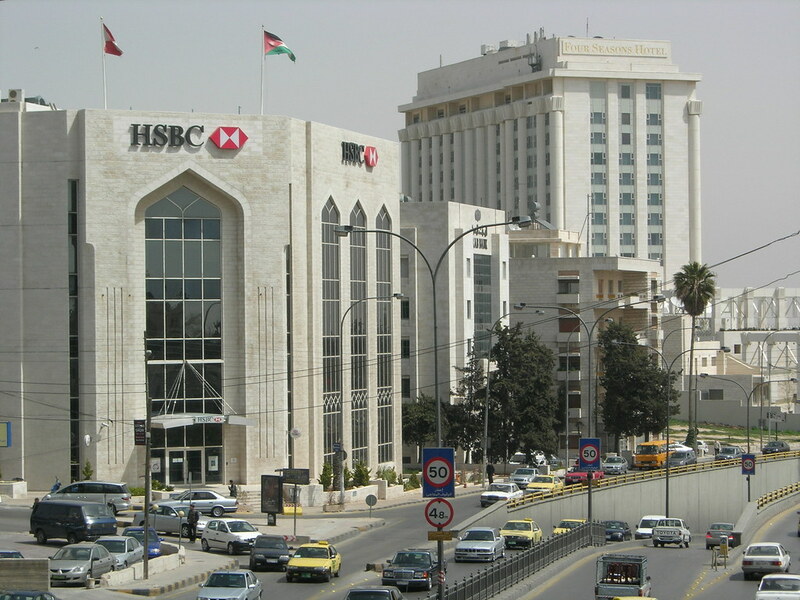 Laid out in detail in a Senate report released in July of this year, HSBC was engaged in banking with the Al Rajhi Bank, which is run by members of the Al Rajhi family alleged to have been “major donors to al Qaeda or Islamic charities suspected of funding terrorism.” They established “their own nonprofit organizations in the United States that sent funds to terrorist organizations, or used Al Rajhi Bank itself to facilitate financial transactions for individuals or nonprofit organizations associated with terrorism” in the years after the September 11th attacks, according to the report. In March 2002, the US Treasury Department conducted a “search of 14 interlocking business and nonprofit entities in Virginia associated with the SAAR Foundation, an Al Rajhi-related entity and the Al Rajhi family. The SAAR Foundation is a Saudi-based nonprofit organization, founded by Sulaiman bin Abdul Aziz Al Rajhi in the 1970s, named after him, and used by him to support a variety of nonprofit endeavors, academic efforts, and businesses around the world. In 1983, the SAAR Foundation formed a Virginia corporation, SAAR Foundation, Inc., and operated it in the United States as a tax-exempt nonprofit organization under Section 501(c)(3) of the U.S. tax code. In 1996, another nonprofit organization was incorporated in Virginia called Safa Trust Inc. These and other nonprofit and business ventures associated with the Al Rajhi family shared personnel and office space, primarily in Herndon, Virginia. In 2000, SAAR Foundation Inc. was dissolved but the Safa Trust continued to operate. The search produced about 200 boxes of information which was then analyzed and used in other investigations and prosecutions, although neither the SAAR Foundation or Safa Trust has been charged with any wrongdoing. In 2003, Abdurahman Alamoudi, who had worked for SAAR Foundation Inc. from 1985 to 1990, as executive assistant to its president, pled guilty to plotting with Libya to assassinate the Saudi crown prince and was sentenced to 23 years in jail. He had also openly supported Hamas and Hezbollah, two terrorist organizations designated by the United States. According to an affidavit supporting the criminal complaint against him, Mr. Alamoudi admitted receiving $340,000 in sequentially numbered $100 bills from Libya while in London, and planned “to deposit the money in banks located in Saudi Arabia, from where he would feed it back in smaller sums into accounts in the United States.” According to the affidavit, he also admitted involvement in similar cash transactions involving sums in the range of $10,000 to $20,000. The small sum of money Yusuf is alleged to have provided pales in comparison to the transactions highlighted above, which HSBC is believed to have enabled in part through its business with the Al Rajhi Bank. Yusuf wrote a letter to the judge seeking to explain her contributions saying they were “motivated by a desire to provide food and medical care for those in need.” Her attorneys backed her up on this saying she had wanted to help “friends with living expenses and debt relief” and never intended to provide “direct support” to any members of al-Shabaab. In December 2010, Yusuf was one of four Somalis being prosecuted for giving money to people in Somalia. Local Somalis skeptical of the prosecutions, like Bashir Hassan, expressed the feeling that the government was criminalizing Muslims. There does not appear to have been any intent to support the terrorism of al Shabaab proven in Yusuf’s case, but all the prosecutors had to prove was there was a transaction where money likely wound up in the hands of Shabaab fighters and that was enough for a conviction. In contrast, in the case of HSBC one wonders what the bank would have had to do to be prosecuted criminally for their actions and have executives go to jail. The Justice Department found they had violated the Trading with the Enemy Act—the act a bank would be convicted of violating if they were financing or providing material support to terrorism. Whether they intended to violate these acts or not, they did commit violations so at least some from HSBC should be facing the prospect of being sentenced to jail. What if any of the HSBC bank executives involved in allowing or looking the other way had been Muslims? Within the space of ten days in December 2001, the federal government froze the assets of the three largest Muslim charities in the United States—the Holy Land Foundation for Relief and Development, Global Relief Foundation, and Benevolence International Foundation—effectively shutting each of them down. The government seized these charities’ assets during the Muslim holy month of Ramadan, at the height of annual Muslim charitable giving. These charities, which had been operating without incident for years—and for over a decade in the case of the Holy Land Foundation—were not on any government watch list before their assets were frozen. Indeed, before it was shut down the Holy Land Foundation had made repeated requests to government officials for assistance in complying with the law, only to be rebuffed. Depending on one’s ethnicity, religion, class or occupation, the system of justice (or injustice) in America is now that a major bank can settle for what in HSBC’s case was, according to Matt Taibbi, about two months’ worth of profits when they engage in terrorist financing or banking where money is being transferred to drug cartels. Executives can expect pretty “swift justice” too. The Senate report that created headlines was put out in the summer and in less than six months the Justice Department had an agreement with a settlement worked out. Yusuf was charged in 2010, pled guilty about a year later and then was in confinement for another year before being sentenced for 8 years for giving a little over a thousand to some poor people she knew and wanted to help in Somalia, the country where she was born. The overwhelming conclusion one can draw is there is no limit to the political will the Justice Department or Treasury Department has to crackdown on Muslims for charity. They will go to immeasurable lengths to conflate giving with financing of terrorism. Jewish and Christian organizations give to countries with ongoing conflicts in ways similar to Muslim organizations and do not face government prosecutions. On the other hand, the Justice Department and the Treasury Department have no political will to hold banks accountable for crimes of terrorist financing with groups that have ties to al Qaeda. They will bend over backwards to ensure there is an outcome where the bank appears to be brought to justice but is not broken in such a way that it cannot continue business as usual.